The Power of Now has received rave reviews from many people in the personal development and spiritual sectors. One of Eckhart’s biggest fans is Oprah Winfrey and he has been in conversation with her over the years. This book is more about spirituality than religion. He mainly speaks from his personal experience and from his understandings of the great texts. Underpinning all this is a belief in a deep spiritual place within each of us that connects us to the divine. 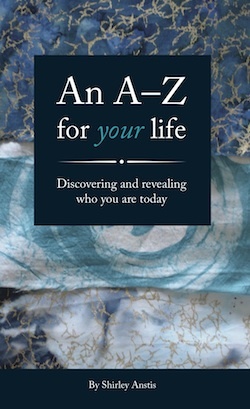 Eckhart encourages the reader to look within and find peace and joy in being. It is about recognising that our incessant mental noises prevent us from a stillness that can connect us to God. This helps us to be more fully present to ourselves and in the world. If we are always thinking then we live in a world with continuous problems and conflicts that need solutions. He believes that this incessant thinking separates us from ourselves, each other and God. Instead of us using our mind – it uses us. If we can never switch off our mind then we are slaves to it. Strong words when we’ve been educated to believe that thinking is good and the more we think the better. It is a reminder too that “beauty, love, creativity, joy, inner peace – arise beyond the mind”. Eckhart points out that through our constant thinking we are always judging, commenting, speculating, worrying, comparing, whether about the past or an imagined future. Does this sound familiar? We live in the present with continuous commentary of voices from the past. He invites the reader to listen to the incessant thinking in our head – not to judge or condemn – but simply to observe with impartiality. He calls it “watching the thinker” and this separation helps us to realise that we are not our thoughts but more than that. We are now conscious of more of who we are and our thoughts no longer dominate us. It is in this conscious space that we can find stillness and peace within. It is about being aware of the present moment and not being lost in our thoughts. Meditation, mindfulness and prayer can help us to let go and be present. Eckhart also suggests becoming more aware of all the everyday tasks we do and allowing that to slow us down and stay in the present. This is better than starting our day with worry and fear. How might it be to really pay attention to our morning routines of washing, dressing and eating? The challenge for many of us is that we are identified with our thinking and believe we would cease to exist if we stopped. He refers to this identifying with the mind as the ego – identifying with achievements of the past and projections into the future. On a serious note he believes that if we don’t move beyond how we use our mind or how our mind uses us, we will destroy our mental health. For him a quieter mind allows us to experience inner stillness. It gives us more opportunity to listen to our emotions and allowing them rather than controlling them. As a counsellor and having recently done a mindfulness course I can see how this makes some sense. But I am not sure how many people can make the changes without support. Our thoughts and emotions have been built up over a lifetime and it may take a therapist to help us separate who we are from our constant thinking. When this book came out in 1999 it was certainly ground breaking. However I found it to be quite long: it felt like I was being told the same thing over and over in slightly different ways. Also I do believe in balance, so there are times when it is healthy to be reminiscing and times when we should be planning for the future. However the constant distraction of our thoughts means that we may not be sufficiently present in our lives. Being fully present in our lives, in our relationships can be quite powerful. Let me know what you think.